Either way, the Scandinavian quartet is one of the most exciting Swedish rock-pop exports, and the good news is they are coming back to Luxembourg to perform at the Rockhal on October 11. 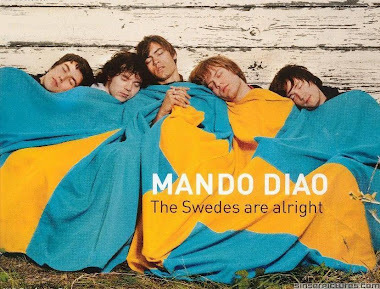 Mando Diao are massive in their home country of course, but also in the rest of Scandinavia, Germany and Japan. Despite having a very indie-garage-Brit sound, they are little known in the UK but it will probably only be a matter of time before they break there too. The band has been together more than ten years and produced five albums. Best known for songs like “Dance with somebody”, “Down in the Past”, "Long before rock 'n' roll" and loads more, they have certainly built up an immense fan-base and respect within the music industry. Their last abum “Give Me Fire” has now gone platinum. Now Mando Diao have embarked on a new adventure; MTV Unplugged tour together with an acoustic album, “Above and Beyond”. You may think that you’ve heard this all before, but the Swedes are doing things a little different. Their original MTV Unplugged concert was a great success as they rearranged not only their hits for acoustic performance, but never released songs, b-sides and the odd song that had only been a demo previously. Add to that lavish sets and they even wore traditional Swedish costumes while performing! Wort.lu/en managed to get an interview with Mats Björke the keyboard player of Mando Diao to find out just what we can expect on their acoustic visit to the Grand Duchy. How many times have you played to Luxembourg? What do you remember? We’ve actually been to Luxembourg several times and the last in 2009 was a great show in a big venue after we had been playing some smaller shows before. We are looking forward to coming back...to great food and great wine, I remember well! The tour is specifically unplugged. When you were first asked by MTV to do it, did you jump at the chance? Actually our street team kept demanding MTV to do this and then they finally made us do it so it wasn’t us initially. But it gave us the spark to do it and dress our music up in new clothes so to speak. Was the idea to make an album and tour out of the initial MTV Unplugged concert in Berlin, something that came afterwards or was it planned all along? It came afterwards. The actual show was really perfect, we wanted to bring it to a wider audience. We’ve actually already played a couple of shows this summer in this acoustic format. Most people know the story that the band’s name, Mando Diao, means nothing and came to you in a dream, is that how songs come to you too? Sometimes. Its not really obvious, inspiration can come from anything. I think as we go on as a band it becomes more and more subconscious. You guys are of course massive in Sweden, but also in Germany and Japan. Why those two countries in particular? You never know! I would say you never know how it works out. Some songs really hit people in a certain country. It’s something you can’t tell. It’s also about timing too I guess. Despite having quite a British sound, you’ve not really broken it in the UK, why is that? They kind of think we stole their music from them! (laughs). We’ve been more “spotted” in the US because the music is less known to them I guess. Is it good in fact to have a huge following in one country and not so much in the next? Yes. Being too successful can kill the music. It gives you some perspective and makes you search for something more, it sort of gives you meaning. Is the UK and France your next target? I don’t know. We are doing the deals we do and when it’s time to go there we are going (laughs). We always have a good relationship with our fans and we help fans connect with each other and keep together. We have a very active street team that has a life of its own; a lot is thanks to them. For the concert in Luxembourg, what can we expect? 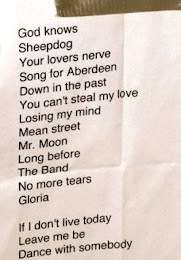 Same songs as the MTV Unplugged concert in Berlin or have you changed it a bit? 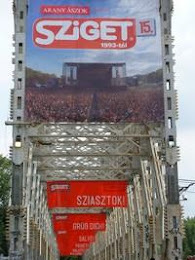 The idea is to bring the MTV unplugged concert on the road and make it even bigger, better and wider. No need to do exactly the same as the Berlin concert, which was a perfect. And will you be wearing traditional Swedish costumes again? We’ll see, it’s really hot in those costumes! Any plans to release all the b-side songs that we can find on YouTube? We released many of the b-sides in a compilation last year, and some songs we play for the MTV unplugged are b-sides never released. In fact there is one that was only a demo originally. How long are you spending in Luxembourg? I don’t know, I’ve not seen the schedule but I know it’s a great little country with good food and wine. Maybe we can see what’s going on when we’re there. Random question, do you have a song on your iPod you are embarrassed about but secretly love? I can make you love me by Bonnie Raitt (embarrassing laugh). Any last message to Luxembourg fans? It’s great to come back to Luxembourg, and have a great time at our show!